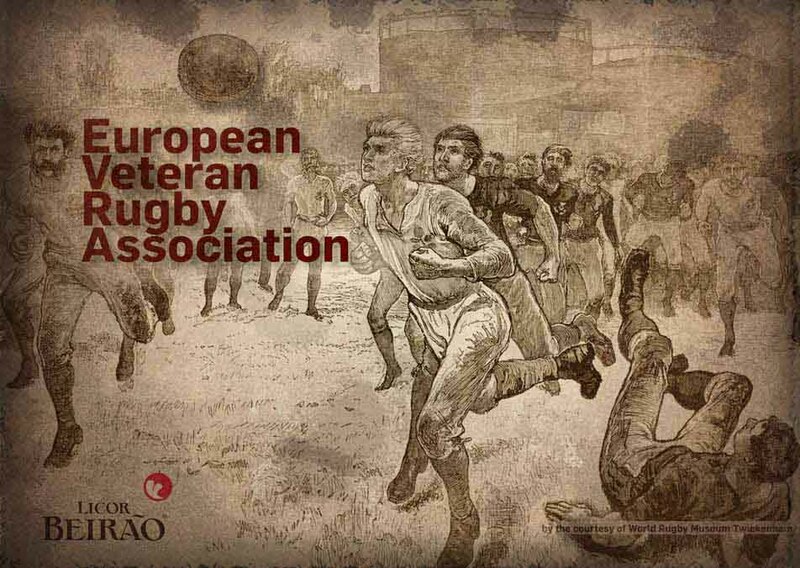 5th EVRA European Veteran Rugby Festival will take place in Belluno (Italy) between September 5th - 8th 2019. 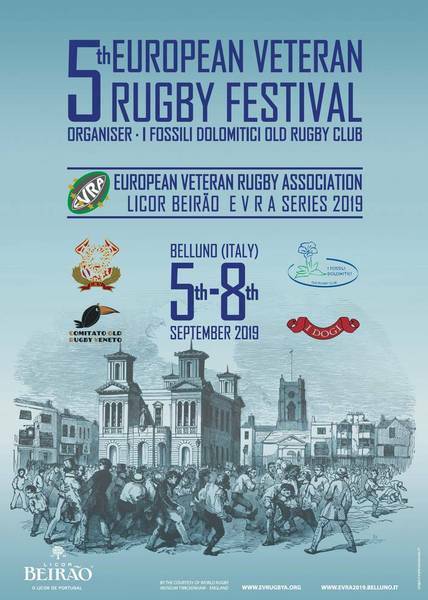 Festival organisers are this time Italian rugby friends of I Fossilli Dolomitici Old Rugby & Partners. With the begin of this year the official Festival poster had been launched . . . make the note in your Club/Team sports calendar and start preparing to join us in Belluno at the "door" to Dolimiti Mountains . . . The Poster had been designed by Mau Maria, Communication Design from Coimbra (Portugal) and supported by Licor Beirao (Lousa) . . .